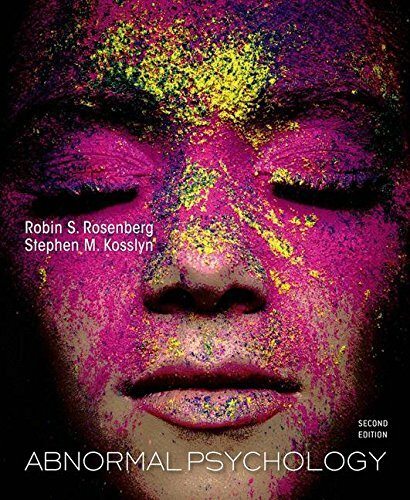 Rosenberg and Kosslyn's Abnormal Psychology brings students to the very forefront of the study of the brain and its role in psychological disorders. Now that text returns in a new edition that again matches the latest research from neuroscience to culture-based approaches with riveting human examples, helping your students understand the both the scientific foundations and the personal impact of mental illness. The new edition also brings forward the books distinctive emphasis on the dynamic interplay between the neurological, psychological, and social factors involved in understanding psychological disorders and their treatment.A Superb Author TeamAn experienced teacher, author, and practicing clinical psychologist, Robin Rosenberg is also an expert at using pop culture to examine psychological concepts (you can see her work in Slate magazine, Whats the Matter with Batman?). Stephen Kosslyn is a renowned neuroscientist, formerly of Harvard and Stanford and now founding Dean at the Minerva Project (a new start-up university), and an accomplished communicator for undergraduate and general audiences.